Following the 11th hour firing of former FBI Deputy Director Andrew McCabe on the recommendation of the DOJ's Inspector General, Michael Horowitz, and the Office of Professional Responsibility (OPR), for lying under oath and leaking to the press, former Obama administration officials have thrown a temper tantrum. For starters, Obama's ex-CIA director John Brennan broke out the thesaurus and lashed out at President Trump. 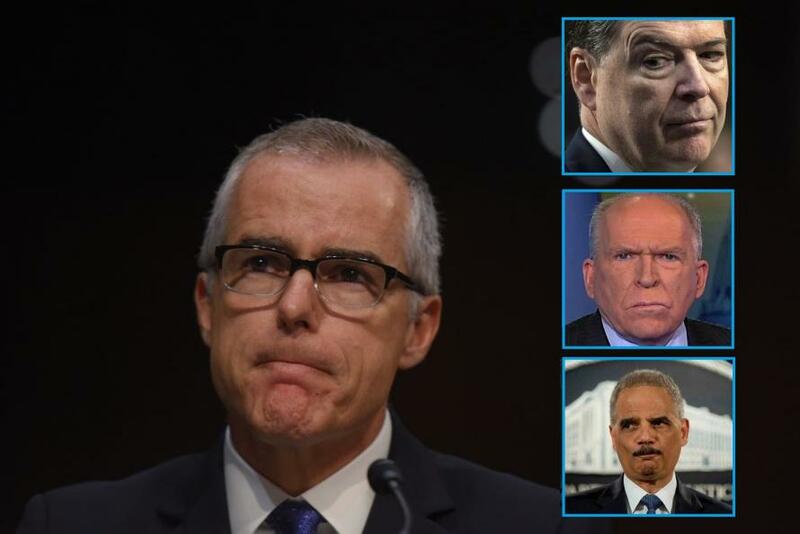 "You may scapegoat Andy McCabe," Brennan wrote "but you will not destroy America...America will triumph over you." 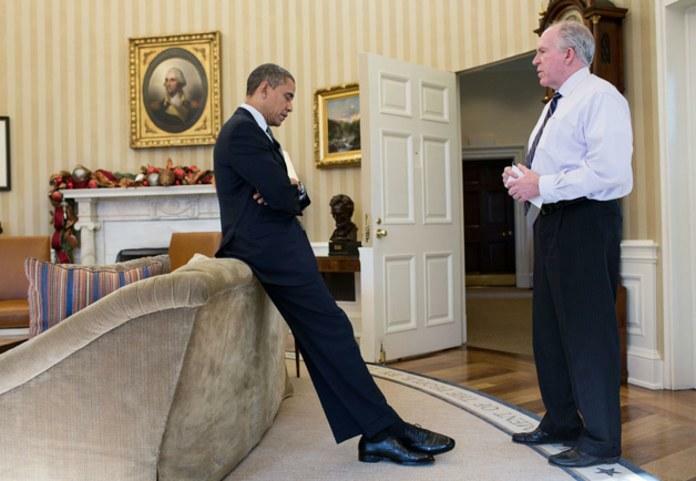 As an aside, Brennan - who insisted on being sworn in under Obama on an original draft of the constitution - without the Bill of Rights and all those inconvenient amendments - notably spied on members of Congress, endorsed torture, and ran Obama's covert drone war. Maybe he became so cutthroat while learning Arabic and Middle Eastern studies in Cairo? Next - Obama's Attorney General Eric Holder - who challenged Republicans to a "knife fight" last Wednesday, lashed out over the "cruel" timing and caving to an "increasingly erratic President." Of note - Holder appointed Robin Ahston to head up the Office of Professional Responsibility in 2010, saying she would "lead the office with the highest standards of professionalism, integrity and dedication." It was her recommendation that McCabe be fired for violations we won't know the full extent of until IG Michael Horowitz releases his report. Earlier we reported on former FBI Director James Comey's tweet after McCabe's firing, warning cryptically that Americans will" soon" be able to "judge for themselves who is honorable and who is not." You are not honorable @Comey. You tarnished the reputation of the FBI. You exonerated criminal Hillary Clinton despite having overwhelming evidence. You wrote a not guilty “memo” months before you interviewed her.